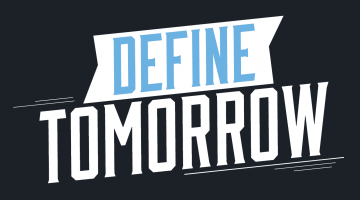 We believe that excellence begins with the right tools. Here at the AMC, we offer a vast suite of services that promises to supplement your project through each and every stage of development. View a printable equipment list. 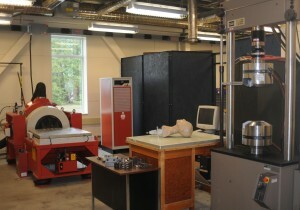 The Advanced Manufacturing Center houses the University of Maine Department of Mechanical Engineering’s Hybrid Structures Laboratory and other facilities. The Hybrid Structures Lab is fully integrated within the AMC organization and provides materials testing capabilities ranging from small, intricate composite parts to large scale welded / fabricated components or other objects. The AMC also houses state of the art Environmental Chamber and Salt Spray Chamber systems. 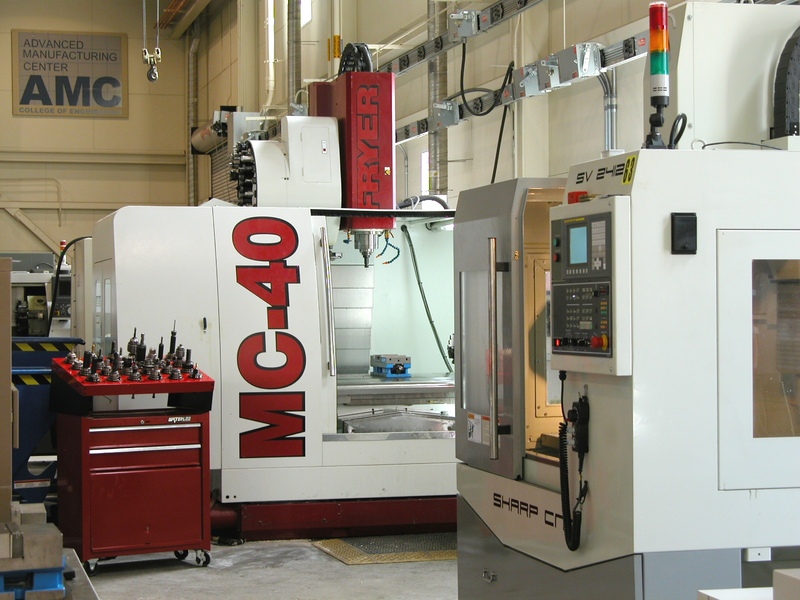 The Advanced Machining Lab was graciously endowed in 2005 by members of the Rochester, NY Alumni Chapter of the University of Maine. The laboratory is designed to provide leading edge machining technology for hands-on training for engineering and engineering technology students. The Advanced Machining Lab is a first-class facility equipped with the latest engineering and manufacturing technologies. Maine’s engineering, manufacturing, and industrial community benefit by having access to state-of-the-art services and equipment within the state for product and process development. 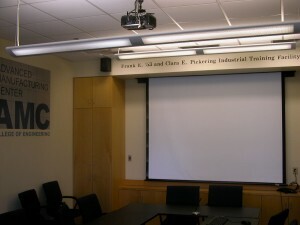 The Frank E. ’53 and Clara E. Pickering Industrial Training Facility seats for 20+ people, making it an ideal space for small and medium sized groups to meet, train, and conduct business. The room is equipped with a stereo sound system, video projector, computer, and Skype teleconferencing system. This space can be configured for meetings, lectures, training, luncheons, and as a central area for groups meeting with multiple University departments and local business. The facility can be scheduled for use by any group in 1 hour increments. Contact the AMC to check availability or register for use. 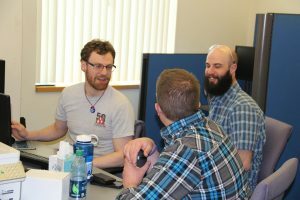 The AMC Design Lab is home to open work areas, “brainstorming” white boards, and a cluster of workstations featuring some of the most up to date hardware and engineering software systems on the market. 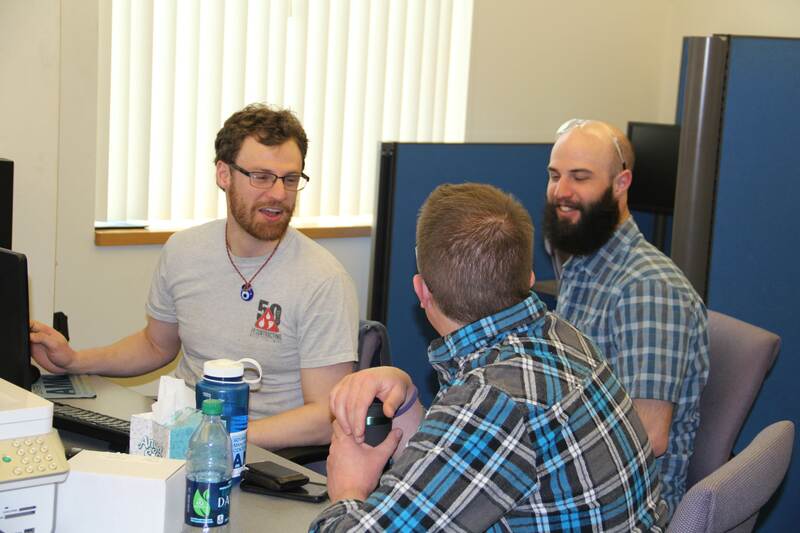 The lab is most often utilized by Engineering Interns working on design and manufacturing projects, but is available for parties interested in using the resource. The lab provides an ideal environment for both individual and collaborative work on projects. Within this lab we have a multitude of tools at our expense including 6 state of the art computer terminals, Computer Aided Design packages (including Solidworks), and Computer Aided Machining packages.